"I have been trying to transfer movies from Mac to iPad with iTunes for long. Every time my iPad video library will be refreshed. Is there any other method to help me move movies from Mac to iPad without deleting any existing movie on my iPad? Or do I need some special tool to transfer movies from Macbook to iPad?" – From Apple Support Communities. Watching movies on iPad would be a wonderful way to kill boring and lonely weekend. However, how much do you know on how to transfer movies from Mac to iPad? Do you still use iTunes to copy movies from Mac to iPad everytime? If so, it’s time for you to refresh your thought on iOS data transferring. You could get easier and friendlier solutions on how to transfer movies from Mac to iPad. In this guide, we would like to introduce you 5 ways on how to transfer movies from Mac to iPad. Connect your iPad tablet with Mac computer via the USB cable provided by Apple. When you see the iPad icon on iTunes, click the iPad icon. Then go to "Summary > Movies" tab. 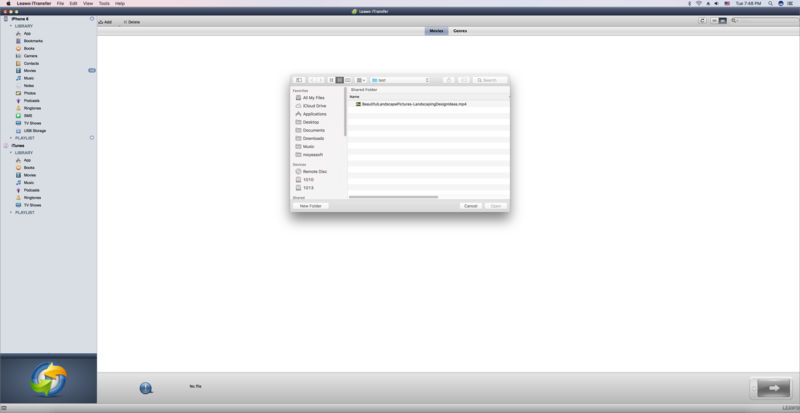 There you could see all movies in your iTunes library on the right panel. Check "Sync Movies" option and then select the movies you want to transfer from Mac to iPad. 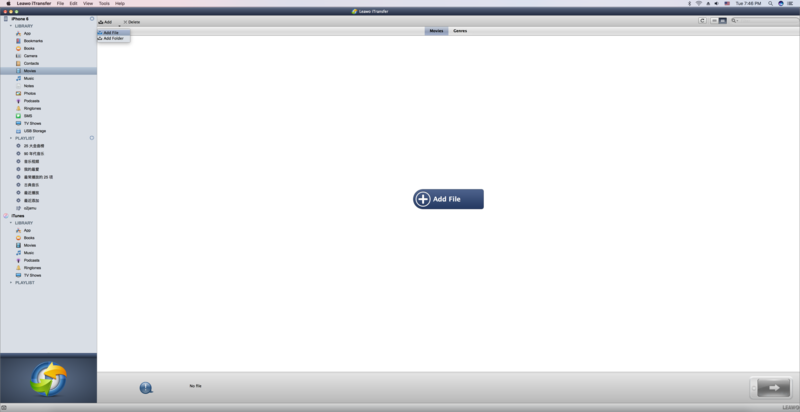 After selecting the movies to transfer, click the "Sync" button at the bottm right corner. Then iTunes would immediately start to transfer movies from Mac to iPad. You then only need to wait for the sync to complete. It would take some time to finish, depending on the size of movies you’re transferring. It should be noted that if you use iTunes to transfer movies from Mac to iPad, all existing movies on iPad would be erased. On your Mac computer, open the browser and then log in the gmail account. 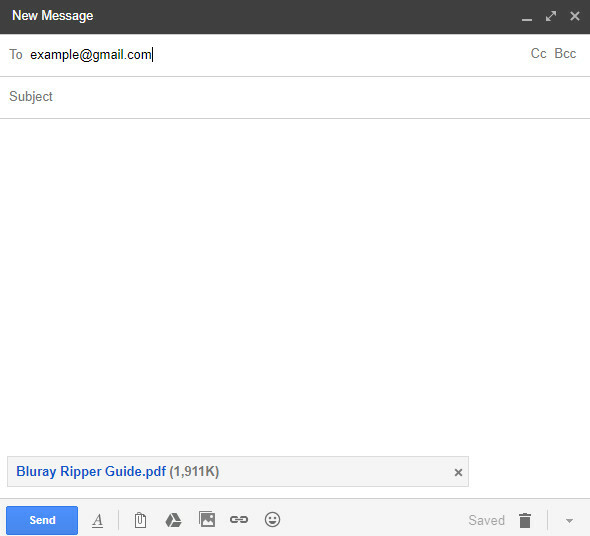 Click "COMPOSE" button to create a new mail. Enter the receiver address (your own email account that could receive email on iPad) and the topic. 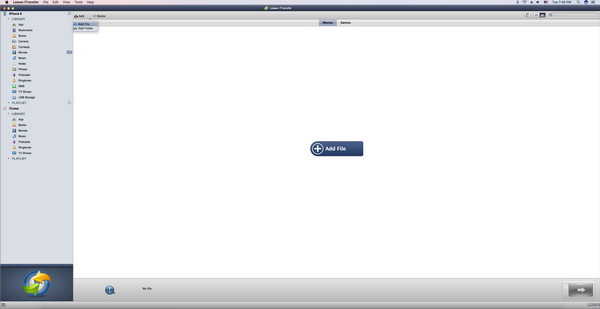 Click the "Attach files" icon to choose movie as attachment. You could upload movie from Mac computer as attachment or choose movie from Google Drive as attachment. Log in your email account on iPad to receive the mail from your gmail account. Tap the attached movie file and download it to your iPad. Apparently, if you choose to transfer movie from Mac to iPad via email, you need to make sure that your network is fast enough so as to make the uploading process as shorter as possible. Meanwhile, you have to pay attention to the attachment file size limitation of the mail server you’ve using. 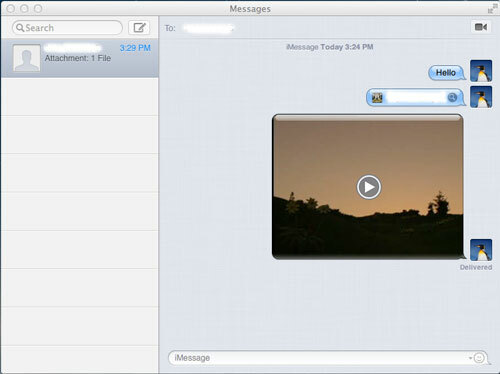 If you are using OS X Mountain Lion, you can let iMessage transfer movie from Mac to iPad tablet. You just drag and drop the video clip into iMessage input box and then receive the file from your iPad mini. When the file has been delivered, you will be able to play it, save it to Camera Roll and even open it in other apps. 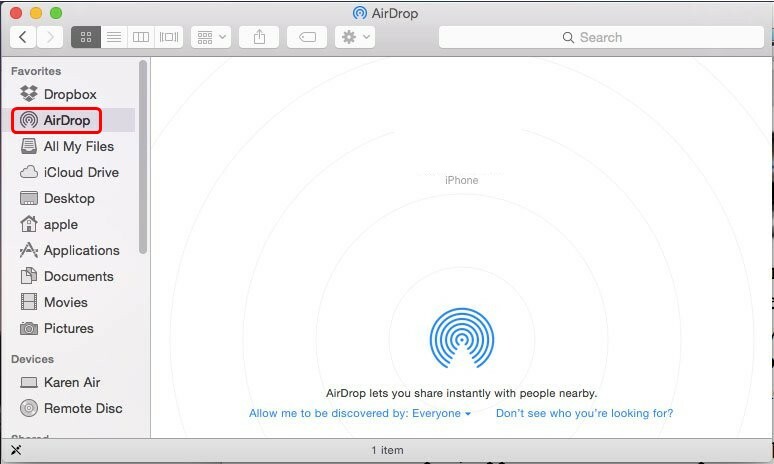 AirDrop is a feature that lets Macs and iOS devices share files wirelessly with a minimum of fuss. AirDrop is an excellent way to share content between two Macs or a Mac and iPhone, or Mac and iPad, in the same vicinity, because it works even if the Macs and iOS devices aren’t connected to the same network. With AirDrop, you could you can wirelessly send photos, videos, websites, locations, and more to a nearby iPhone, iPad, iPod touch, or Mac. 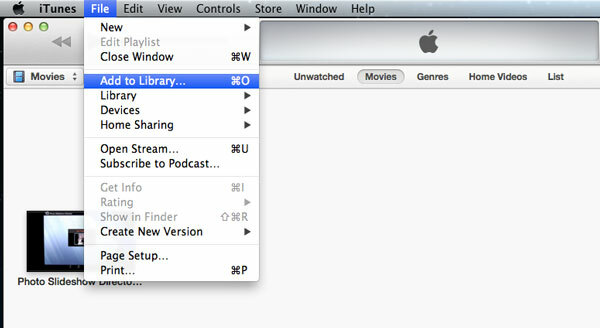 The below steps would show you how to transfer movies from Mac to iPad via AirDrop. Open the AirDrop feature on your iPad first (if you don’t know how to open AirDrop feature on iPad, see https://support.apple.com/en-hk/HT204144). On Mac computers, choose "Go" from the menu bar in the Finder. If the "Go" menu includes AirDrop, that Mac can use AirDrop. Choose to be seen by Everyone, or only those in your Contacts. To raise your chances of your Mac seeing your devices and vice versa we suggest that you choose to be seen by everyone. You should see the iPad in the AirDrop window on your Mac and the Mac should show up AirDrop on your iPad. You can now drop and drag videos onto the icon representing the iPad.Tap "Accept" on your iPad to open the file. To transfer movies from Mac to iPad via AirDrop feature, you firstly need to make sure that your Mac computer supports AirDrop feature. Otherwise you have to turn to other solutions. 3rd-party data transfer app could also be of great tool to help you transfer movies from Mac to iPad, just like Leawo iTransfer for Mac, a professional iOS data and file transfer app that is designed for Mac users to transfer up to 14 types of data and files between iOS devices (iPhone, iPad and iPod), iTunes and Mac computer. With this Mac iPad data transfer software, you could easily transfer movies from Macbook to iPad, as well as iMac to iPad. 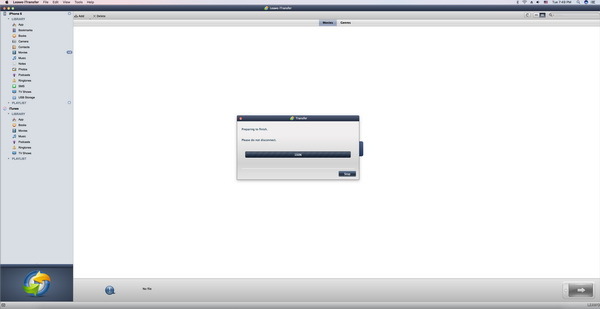 Download and install this iTransfer on your Mac computer. The below steps would show you how to transfer movies from Mac to iPad in detail with the help of Leawo iTransfer for Mac (here we take iPhone 6 to replace iPad. Both iOS devices have the same operation on how to add movies from Mac to iPad and iPhone). 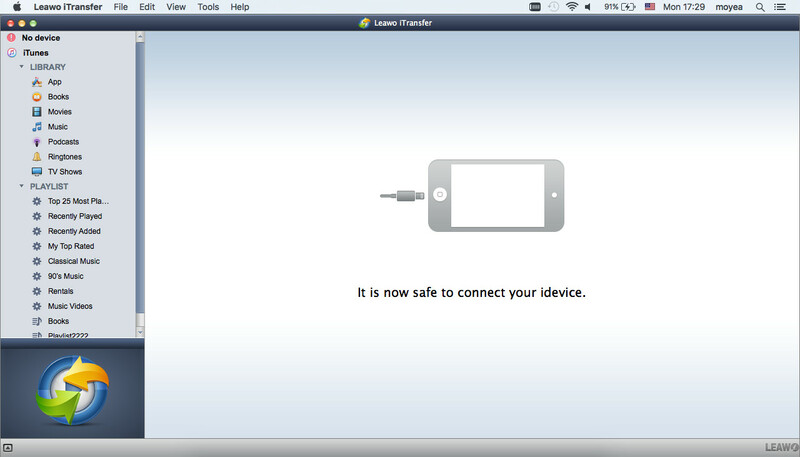 Open the software and connect your iPad to your Mac computer via USB cable. Your iPad will be detected soon and displayed on the left sidebar. Successively open "iPad > LIBRARY > Movies" tab. You could then view all movies on your iPad. On the right panel, click the Add button to choose to browse and add movies from your Mac computer to iPad within this iTransfer. 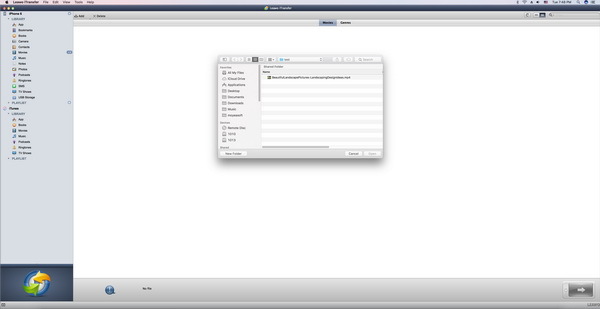 You could add multiple movie files or a movie folder as you like. Upon the loading, Leawo iTransfer for Mac would start the process of transferring movies from Mac to iPad immediately. You then only need to wait for the transferring to finish. Once it’s done, disconnect your iPad to Mac computer. You now could freely watch movies on iPad anytime anyplace. Leawo iTransfer for Mac supports up to 14 types of data and files for you to manage from computer, including: photos, videos, music, contact, note, books, etc. You could transfer and manage all these data and files between iOS devices and computer. If you’re using a Windows computer, you could make use of Leawo iTransfer for iOS data transferring and managing on Windows that runs after Windows Vista.